Rated 5 out of 5 by Littlejoly from Fantastic! 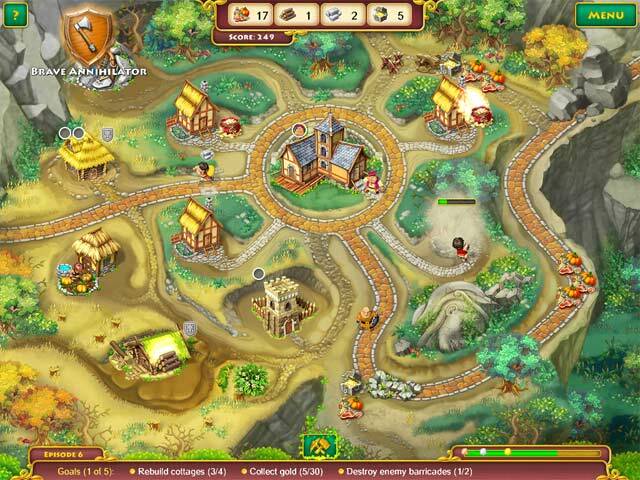 I've been playing all these games: Island tribe, Royal envoy, Roads of Rome and similar, and for me is a great pastime. However, in this game, I could not go the last 40 episode. The thing with this game is bad. However, I recommend it. You will also play in these and other of its kind. Rated 5 out of 5 by AwesumDude from This was a truly fun game I really enjoyed this game. I thought the sound was exceptional. The voices were fun. The graphics were some of the best I've seen. The story line was very good. Rated 5 out of 5 by ArtGamer from cutie I love this game. Sorry just the screenshots on the website can not display the beauty of this game. Recommend playing. 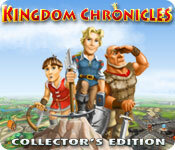 Rated 5 out of 5 by cobargo from kingdom chronicles great game, very challenging, can go back time after time. Rated 5 out of 5 by zorabelle from Good Fun I like games of this nature when I have nothing to do..It is a game of strategy and common sense.I like that you can continue playing even when your time runs out because I am not that fast towards the end of the game. The graphics are pretty good for a game like this and the background music is not annoying.The characters are fun and there is a lot to do to keep them busy.There are bonus chapters at the end where you play as the "bad guys" instead. Rated 5 out of 5 by brendansmommy87 from Love Path Builder games! And this one was no dissapointment. Nothing all that different from other path builders, but a good game. I liked the powerups, and the level of challenge is just right. Thumbs Up! Rated 5 out of 5 by moore5224 from Love! Great game, wasn't easy but it wasn't real difficult either. Took a while to play all the way through as opposed to some of the other games. Rated 5 out of 5 by HPSnitch from Calling All TM Lover's Kingdom Chronicles is for all TM lover's everywhere! This game is a must have for your collection. The gameplay is fast, challenging, and definately addictive. You must plan ahead and it definately tests your skills. I have played it through many times over and it just keeps getting better and better. The extra levels on the collector's addition are definately challenging, as you switch roles. If you are looking for pure fun then check this game out I don't think you will be disappointed. I hope they will make more builder TM games! Rated 5 out of 5 by Angela51 from The best time management game I enjoy playing this game, to bad a was only an hour .I really like this game a was fun to played. Rated 5 out of 5 by moesart from Very addictive! Excellent tm! Right up there with my favs. Love strategizing(sp?) I'm not done yet. I'm one of those who has to get gold on every level. One thing I don't like are the noises, especially of the traders. I turn the volume way down. 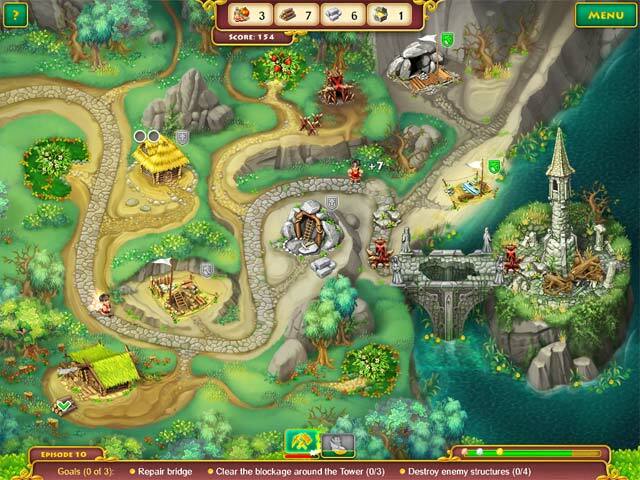 Rated 5 out of 5 by Dorathebluefish from Kingdom Chronicles Tried this game because I was tired of looking for hidden objects, a bit bored with puzzle, time management and match three games. Really enjoyed the trial so I bought it and play it as a "relax" time game! It's fun, challenging in a different way then the time management games and very different. Rated 5 out of 5 by TheWiz from Man this thing is huge! I have been playing for weeks (yes weeks) granted I have to stop after about six or seven levels because my hand starts to die but each time I sit down it is for several hours (today was three). I just finished the main game and just started the extras - and it is practically the same size (levels) as the main game. WOW! The game is great. I never play this type of game, but I got pulled into this one and liked it so much that I got the CE. I am very glad that I did. Love it! Rated 5 out of 5 by redsparrows from A Charming Game That Lasts a Long time. I loved playing this game. It had just the right amount of challenge and allowed for hours of game play with opportunities to beat your own time (earn gold star) on each level. The collector's edition even offered extra levels to switch sides and play as your old enemies! Lots of fun picking up food, wood, stone, gold, and prioritizing your worker's schedules to meet the goals of each level. So many levels! Very fun game. Rated 5 out of 5 by robbiej4 from Fun Fun game I played it over and over. Great graphics and fun story. Rated 5 out of 5 by jonjen98 from Kingdom Chronicles: CE Love this cute little game!! Wasn't sure I would like it, I usually don't play games like this, but I tried the demo and found myself really enjoying the game, so I purchased it. I would have liked for there to have been more levels, but I am hoping there will be a sequel to this fun little game. Rated 5 out of 5 by 4thekids7430 from time management Excellent game was really hooked. My kids have enjoyed playing this game. Rated 5 out of 5 by DrDavid from Wow what fun I don’t play time management games. I never have found one I liked. Then I read the reviews for this game from what I thought was the HOG genre. I played 20 minutes of the game and realized that it was NOT a HOG but a time management game; and I bought it. Now I have finished it and I loved it. No I did not excel at it and no I did not finish many of the last half of the stages in time for a medal. So what? The game was a hoot. I guess the advice I can give is “Try it, you might like it”. I did. Rated 5 out of 5 by notdeadyet from This is a time management you can even play with hands with arthritis. I have arthritis in my hands . Usually ,in a time management game,i reach a point where I have to stop. I know the strategy involved in the game but my hands aren't quick enough. 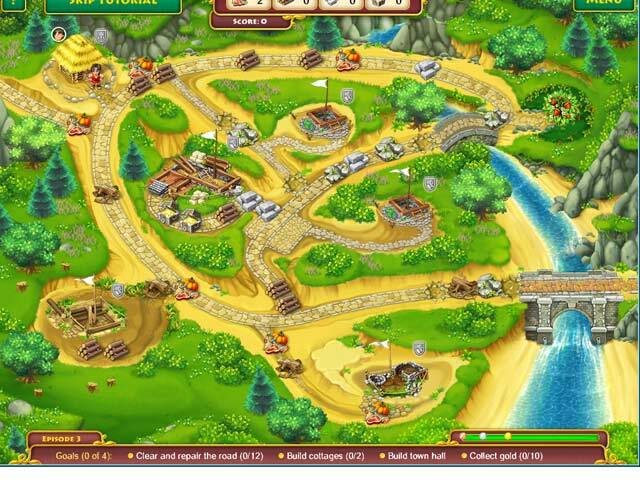 This game has little buttons to speed up production of products and worker productivity.The strategy is good as well.The graphics are good but a bit childish. Rated 5 out of 5 by MommytobeC from So much better than I thought it was going to be. Some games claim to be like Kingdom Princess, Royal Envoy and Roads of Rome and turn out to be nothing like those favorite Big Fish games. But not this one. This one is like those and better. It is challenging but easy to figure out. And most of all fun to play. The graphics are better than most of these games and the story moves the game along. And unlike the rest of them the bonus game play is a nice surprise. You will not regret buying this game. Rated 5 out of 5 by Mischmisch from Great Game Played the demo first and when I saw the offer this weekend I could not resist and bought the CE version. ;o) Pretty addicting, nice story line, great graphics (the soundtrack could have been better but never mind), for me exactly the right level of challenge. Lots of fun! Rated 5 out of 5 by ziggerzigger from Fun fun and fun again! This game was the best i have played for a while! It kept be entertained every second I played it and even though I only played the free trial I am tempted to buy it! The game may be a little like ones in the past but its got its own twist to it thats got me saying its Fun fun and fun again! Rated 5 out of 5 by dolphinette from Love This Game This is a great time management game, lots of fun to play, really gets your brain working on problems and what's best to build first.